The Cosmological argument attempts to show that God exists by considering what caused the universe. The universe couldn’t cause itself to exist, the argument says, nor could it exist for no reason, so an external agent must have caused it. And what else could that external agent be than God? Despite various attempts to refute the argument, it remains a strong one, not least because of its basic common sense. But some atheists have argued that quantum physics shows that the universe could indeed have arisen out of nothing. Entanglement – if two particles have interacted with each other, they become connected, so that what happens to one has an immediate effect on the other, even if it is far away and there appears to be no physical link between the two – sometimes described as action at a distance. There shouldn’t logically be such an effect we might think, nevertheless it occurs. Uncertainty – we can never know the position and momentum of a quantum particle, because measuring one changes the other. Light can appear as both waves and particles, yet we would think logically it must be one or the other. In a quantum field, particles can come into existence and go out of existence. Yet despite these strange facts, scientists say quantum physics is one of the most well-established areas of science. The propensity for particles to come into and out of existence forms the basis of an argument that this could explain the universe without God. For example, physicist Lawrence Krauss (an amusing and engaging speaker on science and religion) argues this way in his latest book A universe from nothing. The book apparently gives a good outline of current understandings in cosmology, but the claim that has drawn the widest attention is that, not only can something as big as the universe arise from nothing, but that something inevitably will arise from nothing. 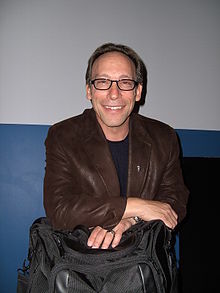 Critics say that Krauss is being either dishonest or at least misleading. He hasn’t shown, they say, how a universe could come from nothing, but how particles can come from a quantum field. But a quantum field is not ‘nothing’, and if a quantum field exists, a universe already exists. He hasn’t at all shown what he says he has shown. Cosmologists sometimes claim that the universe can arise ‘from nothing’ – but they should watch their language, especially when addressing philosophers. We’ve realised ever since Einstein that empty space can have a structure such that it can be warped and distorted. Even if shrunk to a ‘point’, it is latent with particles and forces – still a far richer construct that the philosophers’ nothing. Nevertheless, expect this book to be quoted extensively in the coming months and years as a justification for denying the force of the cosmological argument. « Bart Ehrman on did Jesus exist?